No matter what sort of crafts your child is into they are sure to love this beautiful kit from Melissa and Doug. Melissa and Doug is known for their high quality toys and this craft set is no different. 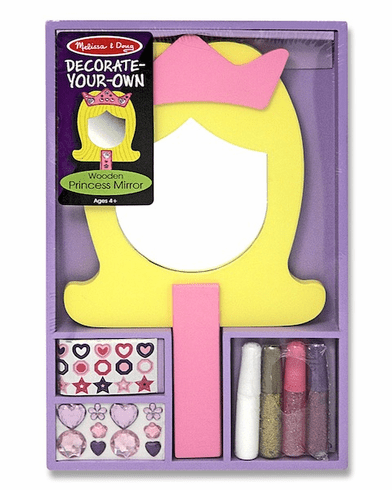 This set includes a fun princess mirror for your child to decorate as they please and features child safe mirror material. Ages 4+ 8" x 12.5" x 1"